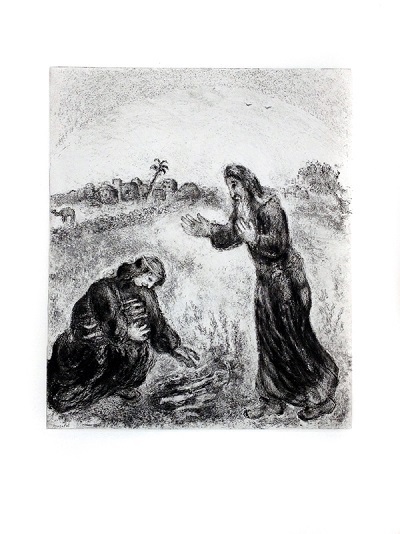 We have been working on framing a number of Marc Chagall prints owned by a Vancouver collector, and thought this would be a good time to speak a bit about his work. 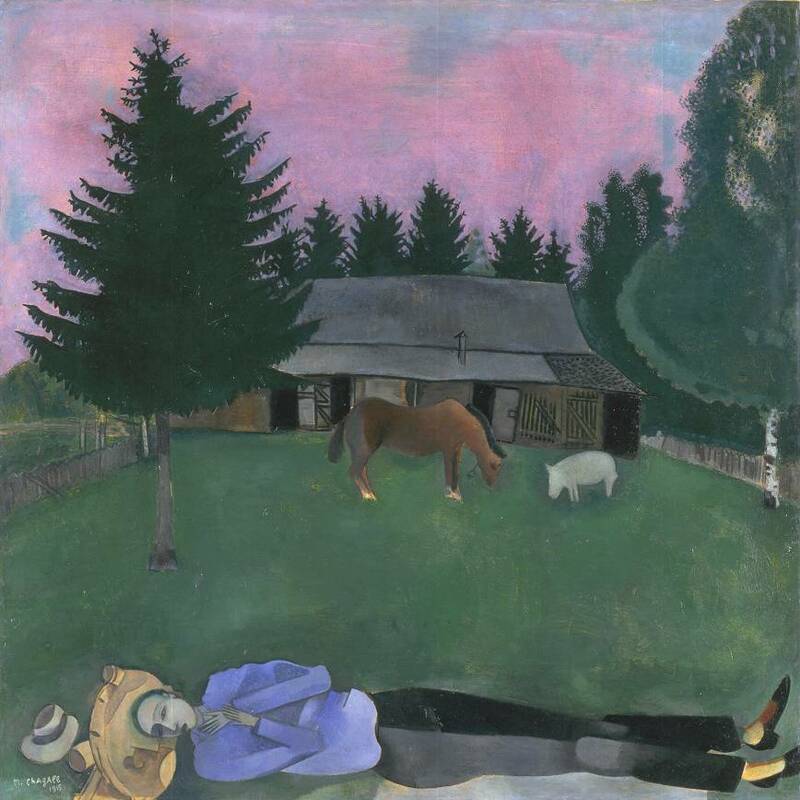 Particularly, since Tate Liverpool’s Chagall: Modern Master exhibition will focus on the artist’s time in Paris before the First World War, his visit to Berlin and his exhibition there in 1914, and the years he spent in his native Russia around the time of the Revolution in 1917. At the moment, we are framing two prints by the artist. Because the prints had not been framed archivally, using acid-free materials, they had suffered quite severe ‘matte-burns‘. Vancouver conservationist Rebecca Pavitt managed to do an incredible job restoring the pieces, with one of the prints pictured below. Russian-born painter, lithographer, etcher and designer. Born in Vitebsk of a deeply religious Jewish family. First artistic instruction under Penn, a local painter, then spent 1907-10 in St Petersburg, where he entered the Imperial School for the Protection of the Fine Arts, and later studied under Bakst. Lived 1910-14 in Paris, where he met Apollinaire, Delaunay, Leger, Modigliani and Lhote. Somewhat influenced by Cubism, but differed from it in his love of fantasy. First one-man exhibition at the Galerie Der Sturm, Berlin, 1914. Returned to Russia the same year and had to remain there because of the war. After the Revolution, appointed Fine Arts Commissar for the province of Vitebsk and directed an art academy; also executed murals for Granovsky’s Jewish Theatre in Moscow. Spent 1922-3 in Berlin, then 1923-40 in Paris, except for visits to Egypt, Palestine, Holland, Spain, Portugal and Italy; in addition to paintings, made illustrations for Gogol’s Dead Souls, La Fontaine’s Fables and the Bible. In the USA as a refugee 1941-7, then returned to France, settling in 1950 at Vence. His later works include a new ceiling painting for the Paris Opéra and, from 1957 a number of commissions for stained glass.